- O/L and A/L or Baccalaureate. - Electronically delivered (email attachments or uploads) will be accepted. But, students MUST provide original copies before the beginning of classes. - Program specific requirements may also apply depending on your area of interest and amount of prior learning experience transferred. - Online with your visa or master card. + Official Transcript/Certificate GCE O/L & A/L or a baccalaureate degree from an accredited institution. 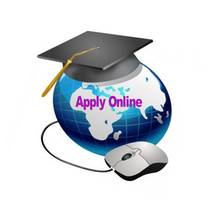 ​ **Applications for Financial Aid or need based scholarship should be filled only after receiving an admissions letter. Performance scholarships are competitive and are based on previous and current academic standing.